The world's second-wealthiest country, Japan once seemed poised to overtake America as the leading global economic powerhouse. But the country failed to recover from the staggering economic collapse of the early 1990s. Today it confronts an array of disturbing social trends, notably a population of more than one million hikikomori the young men who shut themselves in their rooms, withdrawing from society. There is also a growing numbers of "parasite singles" single women who refuse to leave home, marry, or bear children. In this trenchant investigation, Michael Zielenziger argues that Japan's tradition-steeped society, its aversion to change, and its distrust of individuality are stifling economic revival, political reform, and social evolution. 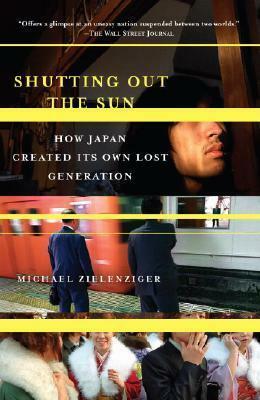 Shutting Out the Sun is a bold explanation of Japan's stagnation and its implications for the rest of the world. "Offers a glimpse at an uneasy nation suspended between two worlds." "Full of surprises and fresh discoveries, Shutting Out the Sun convincingly explains why the great Japanese juggernaut has faltered -- and it does so with intelligence, insight and verve." "Shutting Out the Sun puts a human face on a nation's plight and provides an intriguing point of entry into a consideration of Japan's crisis of confidence." "Well-researched. . . . Zielenziger gives observers of this reticent country good reason to be concerned."